Valley Air has been proudly serving Farmers of the Mountain West since 1978. By providing reliable Agricultural Aviation Solutions, Valley Air plays an active roll in Driving American Agriculture Forward, and assisting our growers in the Stewardship of Their Resources . 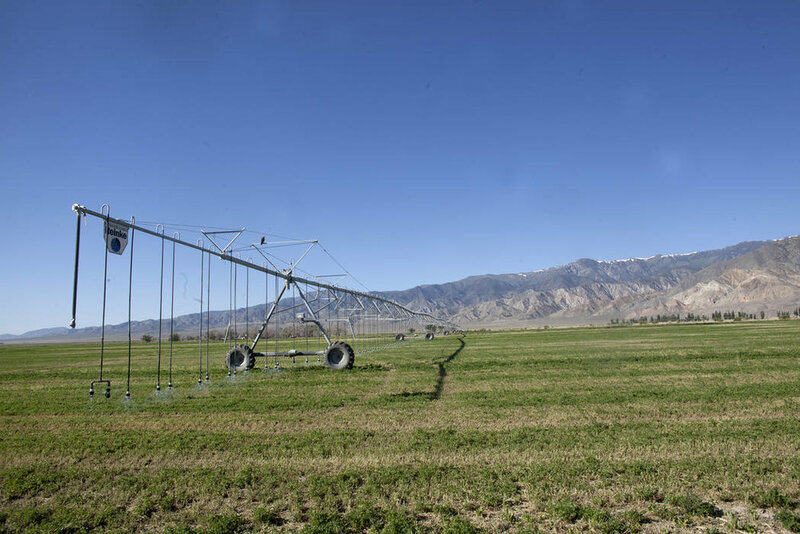 The Treasure Valley is where it all began for us…known for it’s high crop diversity, and high populations of pollinators, Valley Air has been working with local Farmers from the start. Being mindful of the pollinators that local seed producers depend on is why we implemented the use of Night Vision Technology into our operation. This tool has allowed us not only to prevent negative impacts of pesticides on the bees, but has also allowed us to provide timely application services, when it is agronomically the right time to make the applications. The Magic Valley is known for it’s production of spuds, sugar beets, and high quality alfalfa hay. Valley Air has been supporting the farms of the Western Magic Valley with Industry Leading Aerial Services since the late 1970’s. In this hostile environment, timing, and maximizing inputs is critical. We are proud to be a trusted partner of local farmers, assisting them in the stewardship of their resources through timely Agricultural Aviation Services. Eastern Oregon is know as an Onion Producing Powerhouse…this reputation has certainly been earned. Onions are a crop that are known to have a significant upside, what is less known, is that the downside is steep. Well developed agronomic plans, coupled with perfect execution, and a little luck are needed to grow the crop that consumers demand. Valley Air is a proud partner of Oregon Onion Growers, fulling the demand when our number is called. The region is picturesque, resembling what most of us think when we are picturing the deserts of the Mountain West. In and amungst the expansive desert landscape lies the hidden agricultural fields that make Nevada a formidable contributor to our Nation’s Agricultural Production Machine. What makes it beautiful, makes it a challenging environment to be successful, but the Farmers of this great state have found a way to harness it’s potential. Valley Air is proud to deliver Aerial Services that can be counted on, when dependability matters most.